With an aim to stand tall on the expectations of the patrons, we are engaged in manufacturing, supplying and exporting a wide array of Water Bottles. 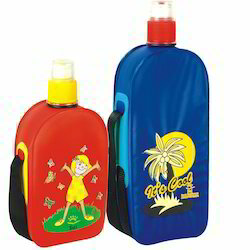 Under the offered range, we provide Cute Water Bottles and Water Bottles Cover. The demand of provided water bottles is high as these are made in compliance with the prevailing trends of the industry. 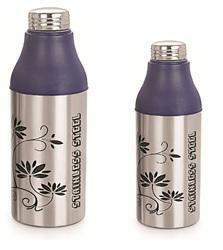 We manufacture these water bottles by making use of the best grade raw material so as to ensure their peerless standards. Hook help while you travel, sports events, camping, trooping, mountaineering etc. 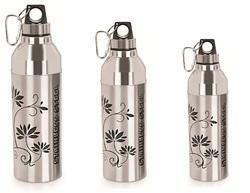 Owing to our industrial expertise, we are engaged in offering a wide array of Royal Masti Water Bottle. 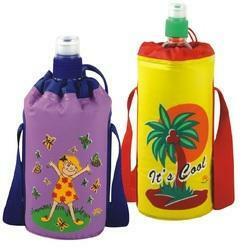 The demand of these water bottles is high as these are decorated with eye-catching prints and logos that attract kids as well as adults. In addition to this, provided water bottles are provided in varied sizes and designs as to cater to the varied demands of patrons. Looking for Water Bottles ?